There are obvious problems with writing a text for a visual gestural language. This text attempts to alleviate some of these problems by using illustrations and scripts for signed sequences. 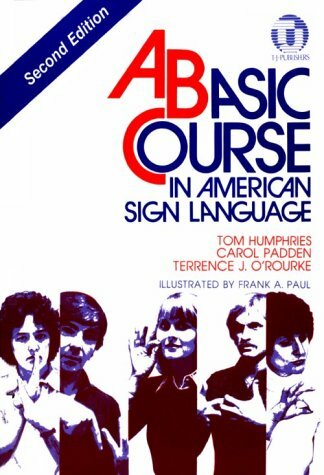 The text is composed of 22 lessons each of which contains two to four basic explanations of the language structures to be learned. As a resource for the student, a drill or exercises follows. Spaced at intervals throughout the text are several short dialogues which review the language structures discussed in the preceding lessons.